In 2008, about 62,480 Americans will be diagnosed with melanoma--the most common serious form of skin cancer. Silver BookIn 2008, about 62,480 Americans will be diagnosed with melanoma–the most common serious form of skin cancer. 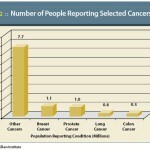 In 2008, about 62,480 Americans will be diagnosed with melanoma–the most common serious form of skin cancer.